Dr. M. P. B. Ekanayake received B.Sc. in Electrical and Electronic Engineering with First Class Honours from University of Peradeniya, Sri Lanka in 2006. He obtained the degree of Doctor of Philosophy from the Texas Tech University, USA in August 2011. His dissertation topic was Decoding the Speed and Motion Direction of Moving Targets using a Turtle Retinal Patch Model. 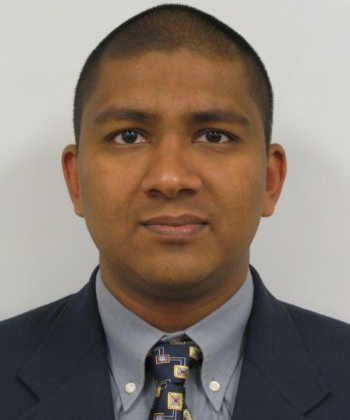 He was previously at the Department of Electrical and Electronics Engineering, Faculty of Engineering, University of Peradeniya, Sri Lanka, first as a temporary instructor and then as a temporary lecturer, from January 2006 to December 2006. Throughout the postgraduate studies, from January 2007 to August 2011, he was with the Center for Bio-Cybernetics and Intelligent Systems, Department of Mathematics and Statistics, Texas Tech University, Lubbock, TX, USA.